You can enjoy free shipping & free retun on all your order. You have 30 days the time to try out our products before sending them back. You saw your product cheaper somewhere else? Let us know and we'll adjust our price! 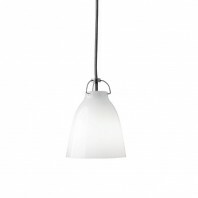 Lightyears creates and produces superior lamps for both the corporate and consumer markets. Working closely together with top designers and architects, worldwide, the brand has created a collection of contemporary lamps mixing best-practice with something fresh and original. 451,93 € 502,15 € -10% Delivery: 1 week. 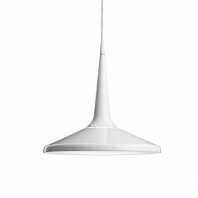 A harmonious and refined creation The Aeon Rocket pendant from lightyears consists of a simple upper shade and a gauzy lower shade. 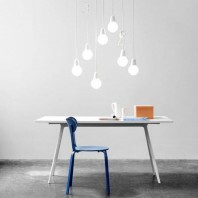 This captivating contrast creates a nice light spreading downwards. 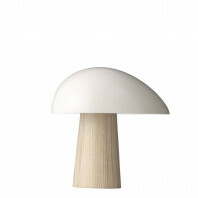 This table lamp is Anne Qvist creation's by Anne Qvist Design Office. 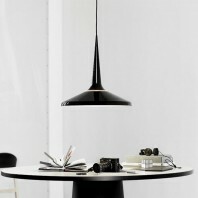 Made of curved lines, it is innovative and elegant. 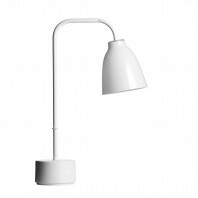 This wall lamp is Anne Qvist creation's by Anne Qvist Design Office. 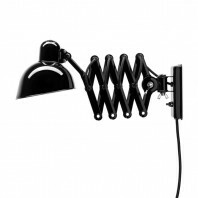 Made of curved lines, it is innovative and elegant. 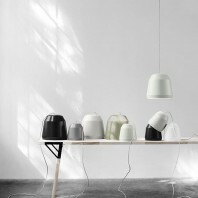 Creative and innovative, this lighting designed by Iskos Berlin, makes us travel. Like a plane in the sky traversing the clouds. 233,05 € 258,94 € -10% Delivery: 1 week. Calabash is real craftsmanship from interior to exterior. 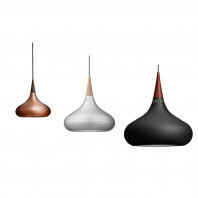 The organic form and the special chrome lacquered and iridescent surface gives the Calabash pendant a unique expression. 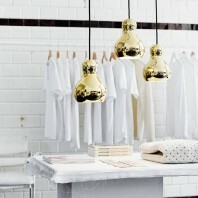 The Calabash pendant creates atmosphere and it presents itself beautifully in clusters. 153,55 € 170,61 € -10% Delivery: 1 week. 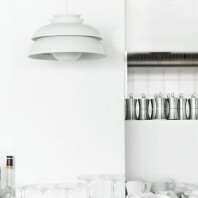 A simple, soft juxaposition between a masculine and feminine form The Caravaggio by Danish designer Cecilie Manz is an ambient lighting series inspired by the contrast between light and shadows. 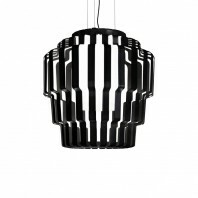 The Caravaggio brings attention to light and to your space. 800,41 € 889,35 € -10% Delivery: 1 week. 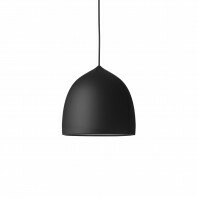 A simple, soft juxaposition between a masculine and feminine form The Caravaggio by Danish designer Cecilie Manz is an ambient lighting series inspired by the contrast between light and shadows. The Caravaggio Floor brings attention to light and to your space. 219,98 € 244,42 € -10% Delivery: 1 week. A simple, soft juxaposition between a masculine and feminine form The Caravaggio by Danish designer Cecilie Manz is an ambient lighting series inspired by the contrast between light and shadows. 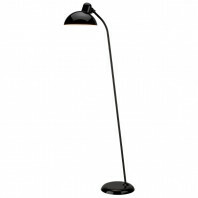 The Caravaggio Matt brings attention to light and to your space. 200,38 € 222,64 € -10% Delivery: 1 week. 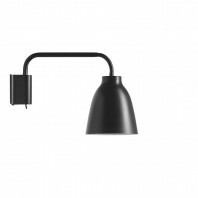 A simple, soft juxaposition between a masculine and feminine form The Caravaggio by Danish designer Cecilie Manz is an ambient lighting series inspired by the contrast between light and shadows. 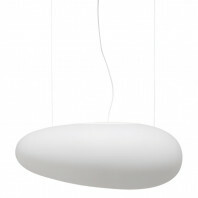 The Caravaggio Opal brings attention to light and to your space. 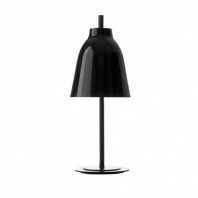 Some people like their place appear spacious and light, but it does not have to look so blank especially when you have Caravaggio Read Floor lamp by your bedside or sofa. This floor lamp is so sleek and immaculate, it will not only brighten up the surroundings with its light, but unexpectedly will become one of the main accents of the room. 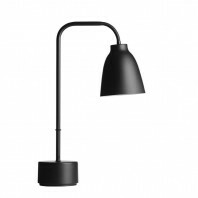 This table lamp is no different than its bigger floor lamp version, except for the size. 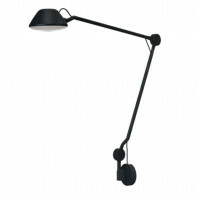 It can also rotate 260 degrees to carry more flexibility in its use. 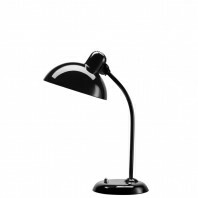 The light intensity is also adjustable which makes this lamp so practical and easy to use. 429,07 € 476,74 € -10% Delivery: 1 week. A simple, soft juxaposition between a masculine and feminine form The Caravaggio by Danish designer Cecilie Manz is an ambient lighting series inspired by the contrast between light and shadows. 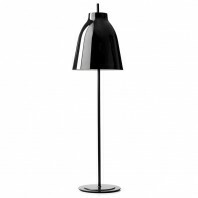 The Caravaggio Table lamp brings attention to light and to your space. 241,76 € 268,62 € -10% Delivery: 1 week. 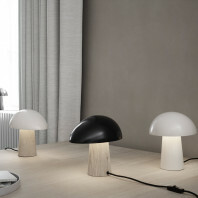 A simple, soft juxaposition between a masculine and feminine form The Caravaggio by Danish designer Cecilie Manz is an ambient lighting series inspired by the contrast between light and shadows. 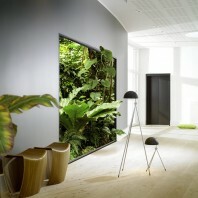 The Caravaggio Wall brings attention to light and to your space. 350,66 € 389,62 € -10% Delivery: 1 week. 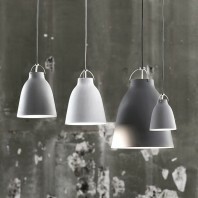 The Concert pendant uses several different shades to strengthen the design further with upward illumination from the lamp. 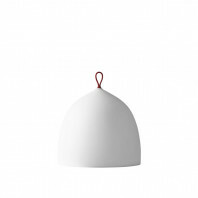 The chosen shade configuration is visually characteristic of designer Jørn Utzon and reminds us of his greatest work, the Opera House in Sidney. 439,96 € 488,84 € -10% Delivery: 1 week. Logical, simple and functional Juicy is created to utilise the light source technology of the future in the best way possible. 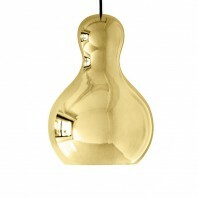 Kaiser series lamps designed by Christian Dol, a German goldsmith and designer who has created it in the 30s. 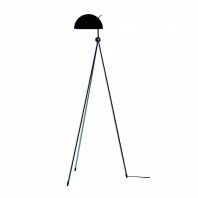 For this model, he conquered us with this industrial floor lamp. 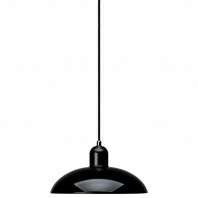 Kaiser series lamps designed by Christian Dol, a German goldsmith and designer who has created it in the 30s. 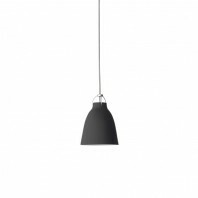 This pendant combines simplicity and elegance. 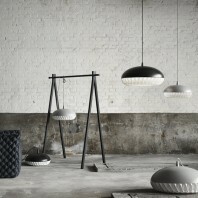 Kaiser series lamps designed by Christian Dol, a German goldsmith and designer who has created it in the 30s. 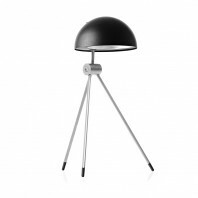 This model is a slim, elegant and functional table lamp. 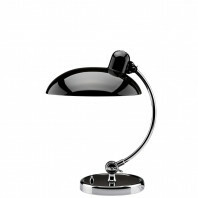 Kaiser series lamps designed by Christian Dol, a German goldsmith and designer who has created it in the 30s. 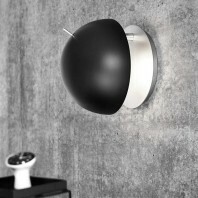 This wall lamp is a beautiful and amazing creation. 162,26 € 180,29 € -10% Delivery: 1 week. 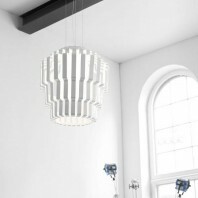 Sculptural and luminous The Lullaby chandeliers are made of soft stone paper and ash wood slats. The organic, luminous form contributes to the gentle light that the Lullaby spreads. 182,95 € 203,28 € -10% Delivery: 1 week. 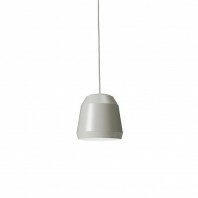 A refreshing and straightforward lampThe Mingus pendant lamp has a strikingly simple appearance. 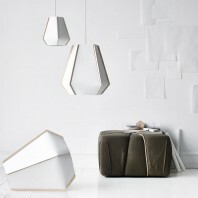 The organic shape formed by four straight surfaces gives an angular appearance to the Mingus pendant. The Night Owl Table lamp is obviously not your ordinary lamp. At first glance, it is impossible to ignore its round and bold design. The effect of its light is also different because it provides a downward and oval diffusion of the light. 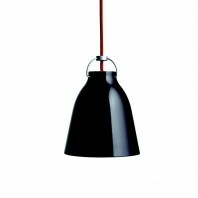 The Orient pendant is a flawless light design with good luminous efficacy and made from the finest quality materials. 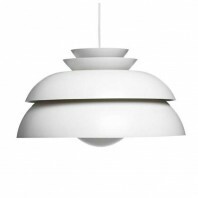 The pendant light was created by Jo Hammerborg in 1963 for one of the most important Danish lighting companies of the time, Fog & Morup. 2 002,67 € 2 225,19 € -10% Delivery: 1 week. 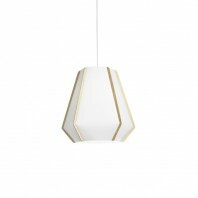 Contemporary with a unique character Pallas is a large room pendant inspired by historic chandeliers. With its substantial size, Pallas is made to illuminate grand architectural projects like lobbies, airports, theaters and museums. 402,93 € 447,70 € -10% Delivery: 1 week. 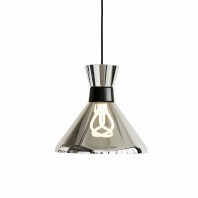 Unique and mesmerizing Pharaoh is a unique pendant light created for the beautifully designed and eye-catching Plumen 001 light source. 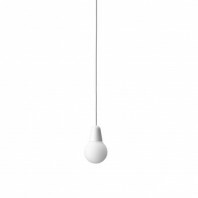 Pharaoh’s aim has been to gently frame and enhance the expression of the Plumen light source, preventing glare, and ensure optimum luminous efficiency. 540,14 € 600,16 € -10% Delivery: 1 week. Fundamental and adjustable The fundamental geometric forms - the circle and the triangle - are key elements in the design of the Radon series. 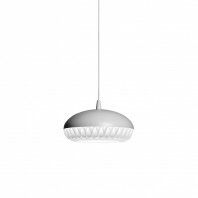 The light from Radon is direct and adjustable. 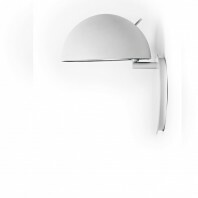 The shade is multi-directional and furnished with an asymmetrical reflector, ensuring that light spreads out precisely to the surface where it is needed. 405,11 € 450,12 € -10% Delivery: 1 week. 237,40 € 263,78 € -10% Delivery: 1 week. 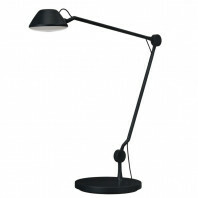 This floor lamp may be moved from one place to another, without any worry that it will not jive with its environment. The round, smooth, and minimal design of Suspence Nomad definitely works to your advantage. 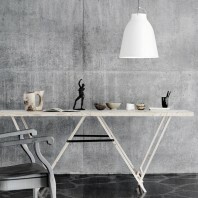 An ultra-minimal and chic look. 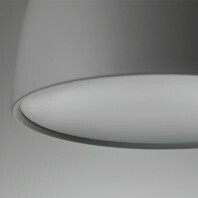 The soft monochromatic curves of Suspence create a pristine yet sophisticated character in any room. The possibilities are endless with its neutral colors and design. 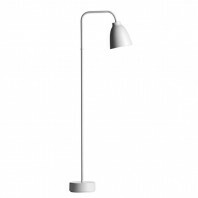 Based in Scandinavia, Lightyears views light, practicality, and beauty as a essential aspects combined to form the basis of their designs. They are dedicated to abiding by the “form follows function” message. 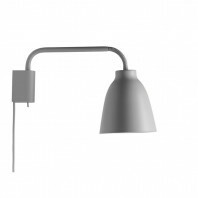 As such, Lightyears’ lamps are aesthetically pleasing to look at, yet provide practical light distribution for the enjoyment and advantage of the user. 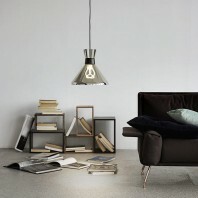 Lightyears lamps are made from the following materials: copper, steel, glass, and acrylic. These result in an ageless design providing surety of long-lasting usage and next to no maintenance. 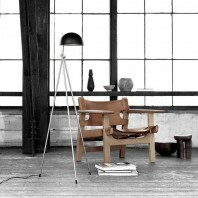 Founded in 2005, Lightyears has, since 2015, been part of Fritz Hansen A/S, a high-class brand with a goal to develop ageless design. Lightyears’ lamps are now offered in over 60 countries and have been included in the interior design of restaurants, hotels, business headquarters, retail outlets, and residential houses, worldwide. Together with Fritz Hansen A/S, Lightyears’ mission is to become a niche company within the international industry of design, luxury, and lifestyle. 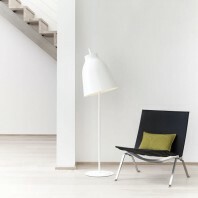 As a partnership, both Fritz Hansen A/S and Lightyears stand by the belief that high-quality furniture and lamps can improve the look and feel of every space. 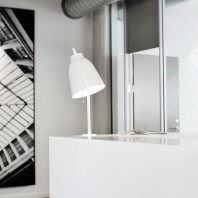 The brand’s team consists of 19 employees across Aarhus, Copenhagen, Stockholm, and Munich. 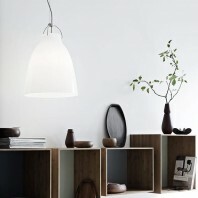 Their collection of lamps includes pendants, floor lamps, wall lamps, table lamps, and outdoor lamps.